Last weekend we decided to see something new from the island instead of lying at the beach. The trip during our practical training on Tenerife was definitely worth giving up our much loved beach day! – We have started with a self-prepared picnic at the beach of the surfer village El Medano. While enjoying our meal we watched the surfers and walked afterwards through the small town with various beautiful little restaurants and alternative shops. Among all those restaurants and bars we found our new favourite place – a little Crepería with a wide range of sweet and savory Crepes. The next morning started early with a visit in a German bakery and the vegetable market in Las Chafiras, where we bought our fresh, regional and healthy things for the coming week. Afterwards we drove to San Juan, had our first chill-out-break on the dark sandy beach and ate delicious fresh fish from the Canarian region in a small and relatively tourist-free restaurant in the middle of the town. The second beach we went to was in Puerto de Santiago and was black, sandy and sparkling – amazing! Due to some unexpected big waves in this small bay all of us had a lot of fun in the water. Of course we also went to see Los Gigantes – which is, even from the land, an incredible view but the next time we want to see these amazing cliffs directly from a boat! To give the day a suitable conclusion, we went again to the Crepería in El Medano 😉 At the very end of this wonderful day we have had tea, nachos and dates with bacon in a nice tapas bar. After a second vegetable market on Sunday (this time in Adeje) we went to the highest village on Tenerife – Vilaflor. There we have found the most delicious self-made lemon cookies in a little Supermarket – that was amazing! Vilaflor is a small and quiet village with many ´senderos´ (hiking routes) starting from here. It is the last village before the National Park. A very good option if you want to have a relaxed day with lemon cookies :). Our secret tip – there is a big open barbecue place called Las Lajas. There you only need to bring coal, drinks, meat, vegetable and some friends and have a great day among the nature! Good music and interesting unknown places made our weekend perfect for exploring more of Tenerife. If you have also had some great experiences during your practical training on Tenerife or you know must-see places – let us know! As our guide was extremely good at languages, we were lucky and got all explanations in four languages, even in our mother tongue. Apart from that, he was very experienced and this is why he told us many interesting aspects on the way to our destinations, for example about the Guanches, the origin of the name Vilaflor, etc. The first station of the excursion was the National Park of Las Cañadas del Teide. During winter time it is getting fresh here on this height and the top of the mountain can be covered with snow. Afterwards we travelled to Icod de los Vinos, where we have seen the old famous Dragon Tree, which is one of the symbols of the Canary Islands. Furthermore it is worth to look at the magnificent traditional architecture of Icod. The village is also well-known for the possibility to taste local delights like wine, jam, liquor, etc. We continued our journey taking the northern coastal route to visit the beautiful village at the coast Garachico. Unfortunately there was no time for making a break and swimming in the natural pools. Finally, we had a stop in Masca, a small mountain village famous for its beautiful landscape. 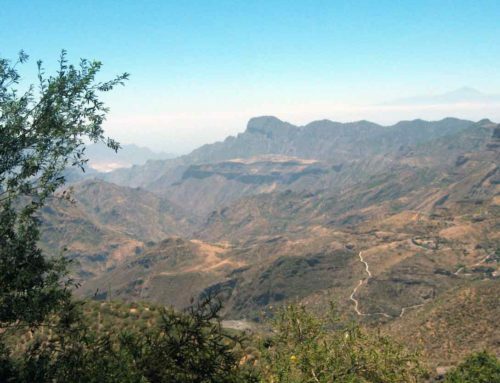 Masca is the starting point for a very popular hike through the canyon to the sea, which we will explore very soon. Drinking a barraquito and enjoying the sunset, this place was an ideal last station for a wonderful trip. Do you love being in the water and the rush of adrenalin? Especially now in the summer months during your hotel practical training on Tenerife, a cool refreshment in a water park is one of the best things you can do! 🙂 Besides the world-wide-known Siam Park, Tenerife has another small but beautiful water park, the so called Aqualand. Although Aqualand is a bit smaller than Siam Park, it is definitely worth to spend a day in this great water park. Besides visiting Siam Park, the s-w-e-p interns grabbed the chance to explore Aqualand. Unlike Europe’s largest water park Siam Park, which is especially for tourists, the majority of Aqualand’s visitors are locals who just want to spend a relaxed day with their family in the water park. While the parents are enjoying a “siesta” in the midday sun, the kids are having fun by slipping over 15 water slides. And that´s also what we did! Arrived at Aqualand, we grabbed a floating tire and tried the first water slides. Right after a short time spending at Aqualand, we realized that this water park has a lot more to offer than we thought! Go and visit Aqualand to make your own experience in this great water park! Then you will understand why spending a day in this park is marvelous. A few weeks ago some Spanish friends told us about the “Paisaje Lunar” on Tenerife. The translated “moon landscape” is a place near Teide where you can hike to and admire the spectacular views of the terrain which seems to be like the moon. 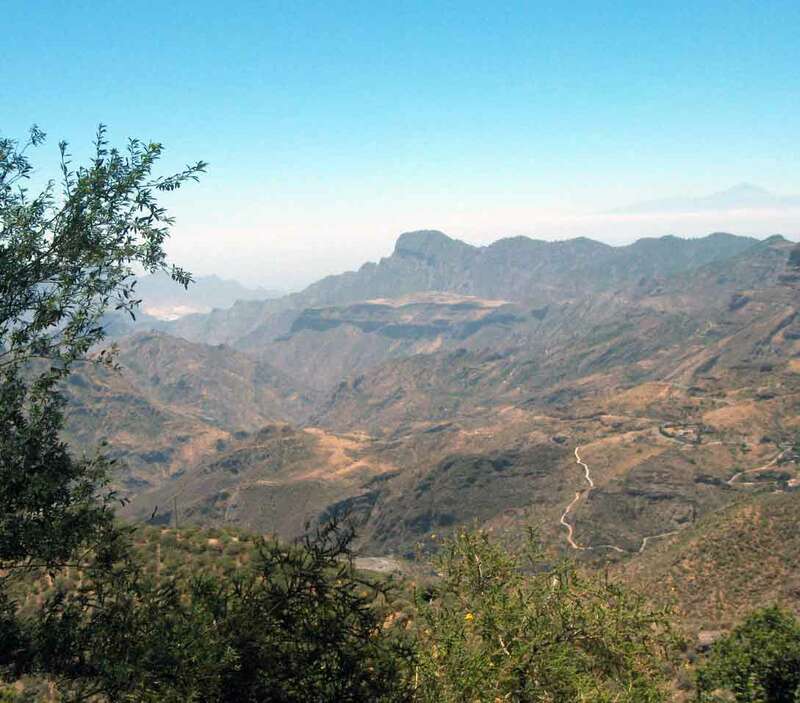 With hikes taking you from Vilaflor to Granadilla and other places, there is ample opportunity to enjoy the wonderful landscape around Teide, the volcano on Tenerife, and on a clear day see Gran Canaria and La Gomera along the route. A walk around Los Escurriales is great for a short walk as you see Paisaje Lunar, as well as the Tajinastes in bloom (during the spring months) which are local to Tenerife. We, the s-w-e-p interns, decided to go there for a hike last weekend with our Spanish friends, which we were happy to have with us because the starting points for the hike are quite hard to find. We took a (more or less) short hike around Los Escurriales to see Paisaje Lunar and went along another route back to the car. Our trip included a nice picnic with self-prepared bocadillos and fruits, some stops for taking photos of the landscape and friends, stops to look at the lizards which you can see everywhere around Teide and it took us 4 hours of walking. You have a great variety of different “senderos” around the base of Teide and neighbouring areas. You can choose if you want to spend a whole day or only a few hours – whatever you like the best! Thanks to the sunny weather we had the chance to see unique views of Gran Canaria and La Gomera and had a lot of fun while we were walking through the forest and enjoying the air, which is amazingly fresh being up so high. Afterwards we went to a cafetería and had an ice-cold coca cola to relax before we went on our way back home. Of course, we joined the beach for the afternoon to spend the rest of the Saturday in a more relaxing atmosphere and to recover from the trip :). All in all it was a super weekend with a nice trip and spectacular views on the Tenerife landscape. If you feel like hiking this is a perfect place to go during your practical training on Tenerife!